Let’s face it, protein pancakes can be too dense and/or too dry. 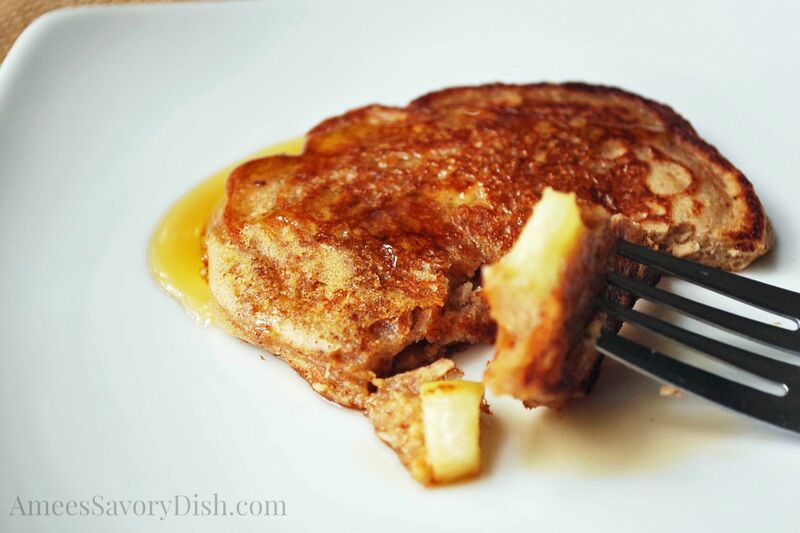 These apple cinnamon protein pancakes are moist and tasty. Don’t skip out on the coconut oil for cooking, it gives them the perfect outer texture while the inside remains fluffy and soft. Place the chopped apples in a small microwave safe dish. Cover and cook for 2 minutes until soft. Drain juice from apples and set aside. Add all other ingredients (except coconut oil) in a medium size bowl and whisk until combined. Stir in apples. 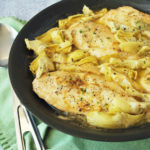 Heat a griddle or skillet on medium-high heat and add 1 tbsp coconut oil. Using a 1/4 cup measure cup, drop batter onto a hot griddle and cook until bubbles form and flip to cook the other side. Add coconut oil for each batch of pancakes, so that they are golden and slightly crispy on the outside and tender in the middle. 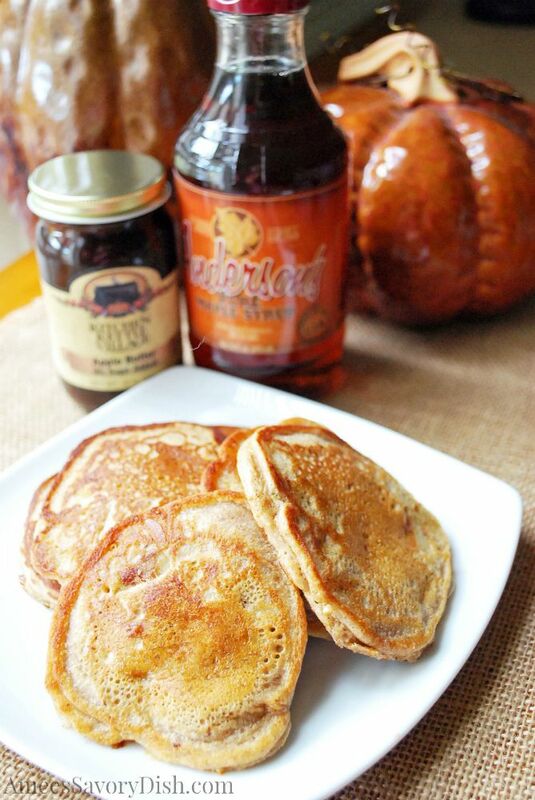 Serve with your favorite real maple syrup or no-sugar added apple butter.